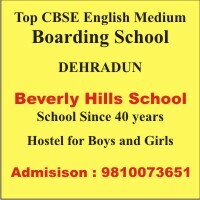 The beautiful capital city of Uttrakhand, Dehradun is a renowned hub of well-established educational institutions. To add on to the list of best schools and educational institutions, a senior secondary school SHEMFORD Futuristic School, Dehradun came into being in the year 2013. Situated at Kotra Santoor Road, Near Subharti Institute, Nanda ki Chowki, Prem Nagar, SHEMFORD Futuristic School, Dehradun is one of the best schools in Dehradun, Uttrakhand. SHEMFORD Dehradun that operates under the aegis of Doon Modern Education Society was built with a view to reflect a safe, healthy and welcoming environment for the comfort of students.